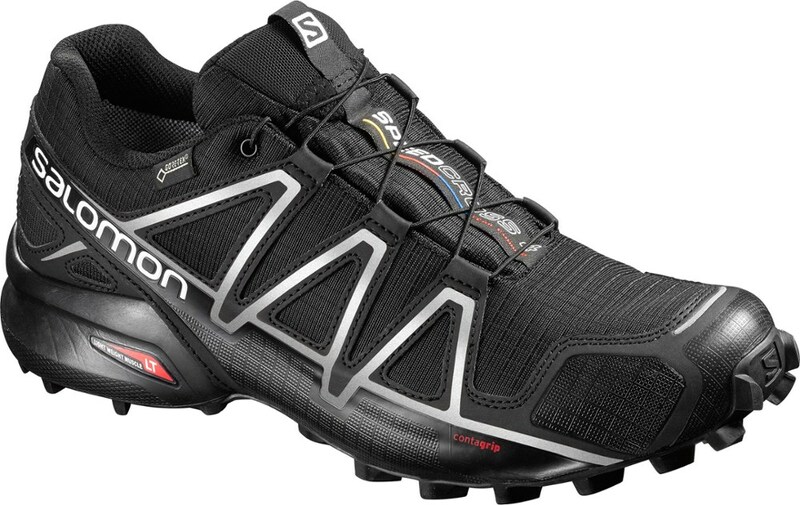 Salomon Footwear XA Pro 3D GTX Trail Ning Shoe - Men's-Black/Black Magnet-Medium-8 L393322008. 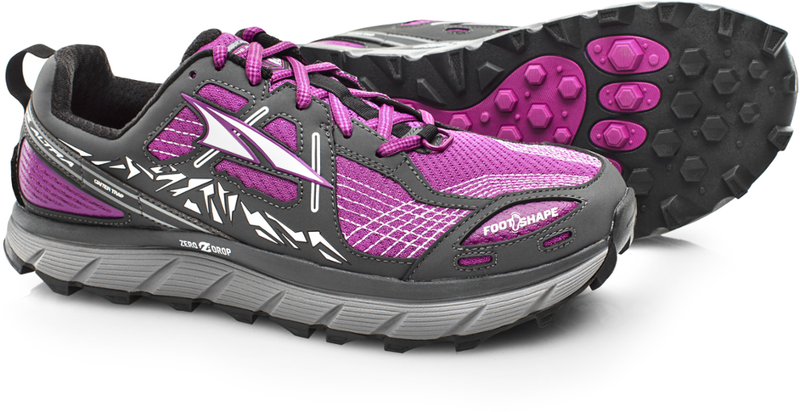 From the first step to 1000 KM+ you'll notice an incredible fit improved durability and a grip that inspires confidence. 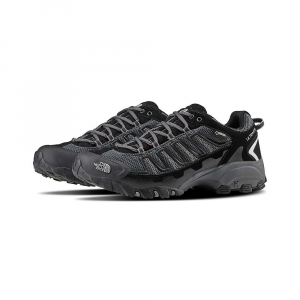 These Gore-Tex(R) XCR(R) trail-running shoes glide across wet and rugged terrain with aggressive traction, responsive support and waterproof / breathable protection. 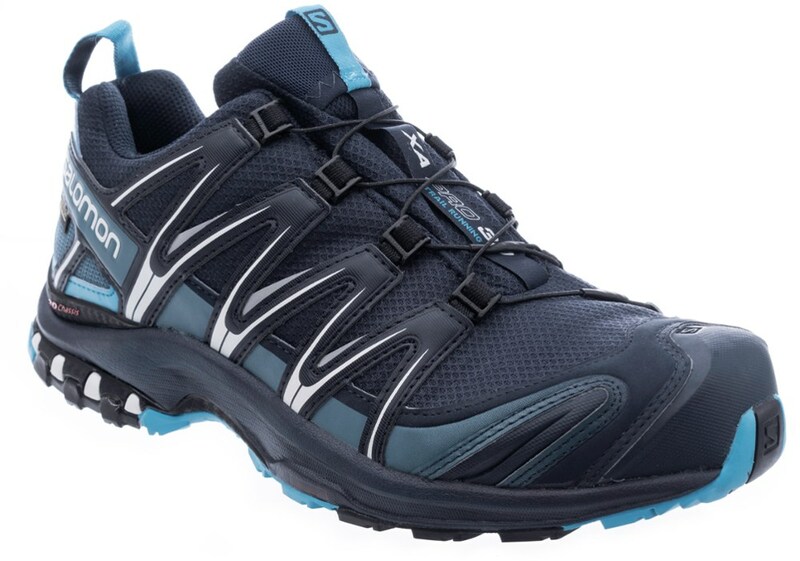 This spring, blast over your favorite stretches of singletrack with Salomon's XA Pro 3D GTX Men's Shoe supporting your feet on every root lattice standing in your way. Designed for the days when the weather doesn't cooperate but you need to train anyway, the XA Pro comes with an added Gore-Tex lining to shield your feet from the rain. 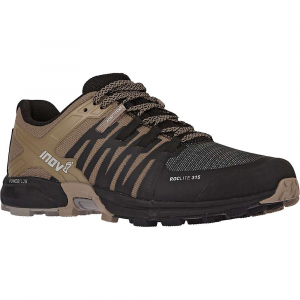 By keeping your toes dry, the XA Pro prevents blisters and chafing when you're stomping through puddles or sprinting, uninhibited, through a surprise shower. 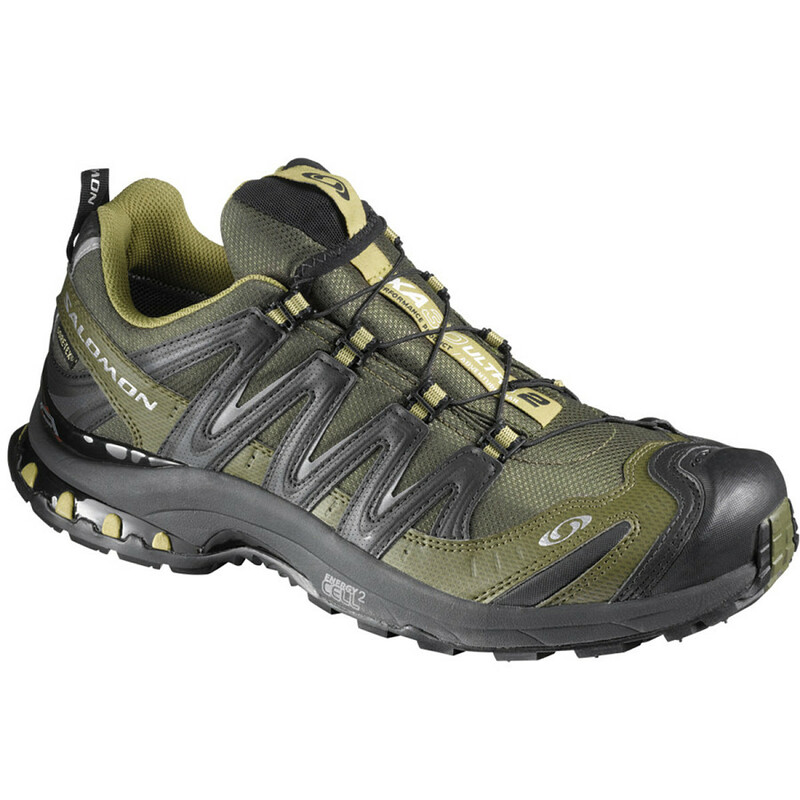 Though the Gore-Tex liner blocks water, it doesn't prevent air from moving through the shoe while you sweat. Instead, it works with the shoe's breathable uppers to ensure your feet can breathe on your most humid runs. 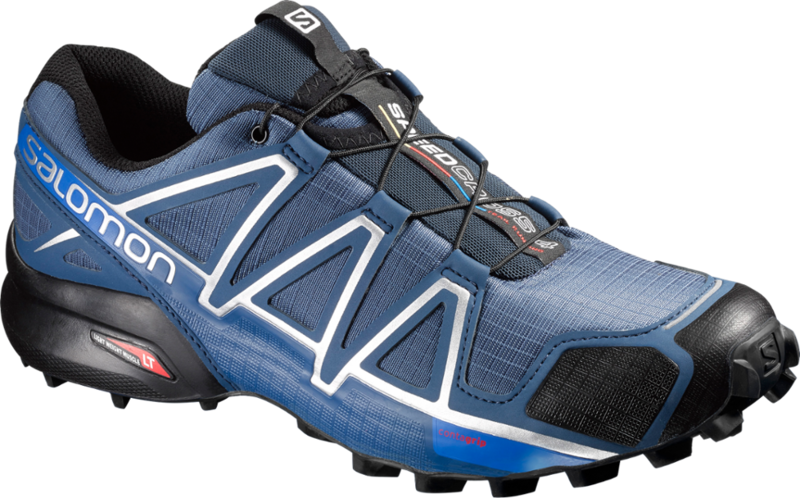 Salomon also continued its preparation for wet trails into the tread profile, shaping the lugs to dig in and hold onto slick, inconsistent surfaces so a little mud doesn't force you to slow down your pace.